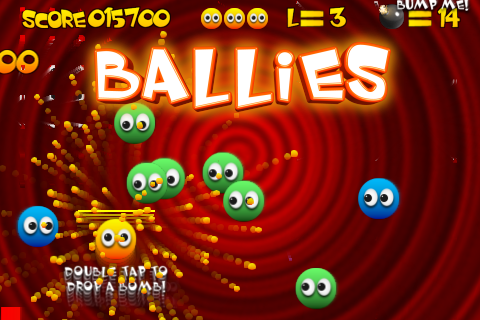 Today Ballies (and Ballies Lite) for the iPhone was released on the App Store. I started working on Ballies at the start of July and finished it in the first week of October. It was very much a learning experience for me — this being my first released iPhone application and my first game that’s actually moved to the published state. It also happens to be a fun game as well too. If you are interested, please go check it out on the App Store. This was the first time that my uncle, Dave Munsie, and I have worked together on a game. I have to say it has been a very fun project and that this won’t be the last one we do together. I’m already deep into the next project, one that we hope to have out before Christmas. Go checkout Munsie Games for some more info. This blog is kind of boring.